THE Gregory family know their speech and drama. 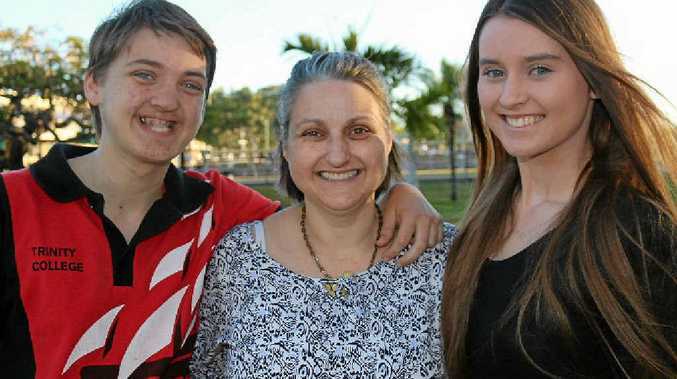 Mother Jacqy, Hannah, 17 and David, 15, are all competing in the 44th Gladstone City Eisteddfod in September, and have been busily practicing for the event. Jacqy is entering speech and drama categories. She decided to take up performing in 2013 after seeing the enjoyment her two children received from it. "I made a decision in life that I would start saying yes to more opportunities and stretch myself from my comfort zone," she said. "I am doing more serious passages this year. I am also hoping to do an exam." Jacqy said the eisteddfod not only provided fun for teenagers, but taught skills that could transfer to the classroom. "Because oral presentations are a big part of high school curriculum, every young person should do speech and drama," she said. Hannah, a Gladstone State High School Year 12 student, is competing for her seventh year and still gets a kick out of the competition. She is entering many categories. "Initially I started to enhance my skills in front of an audience. I have become better and better," she said. "I have won the encouragement trophy twice and Most Outstanding Performer in 2013," she said. Her brother David, a Year 10 Trinity College student, enjoys the creative side of speech. David wrote his own poem named I Hope You Know, which he will present as part of the Write and Recite category. "It's a fun thing to do. When mum signed us up to it, I was not in favour of it but then we found it was very enjoyable," he said. "I would love to do something with drama when I leave school."